Qualified quarter-zip, powered by a warmth-fueled sweater fleece. The Rivershed® QZ brings warmth-to-weight heroics when and where it matters. 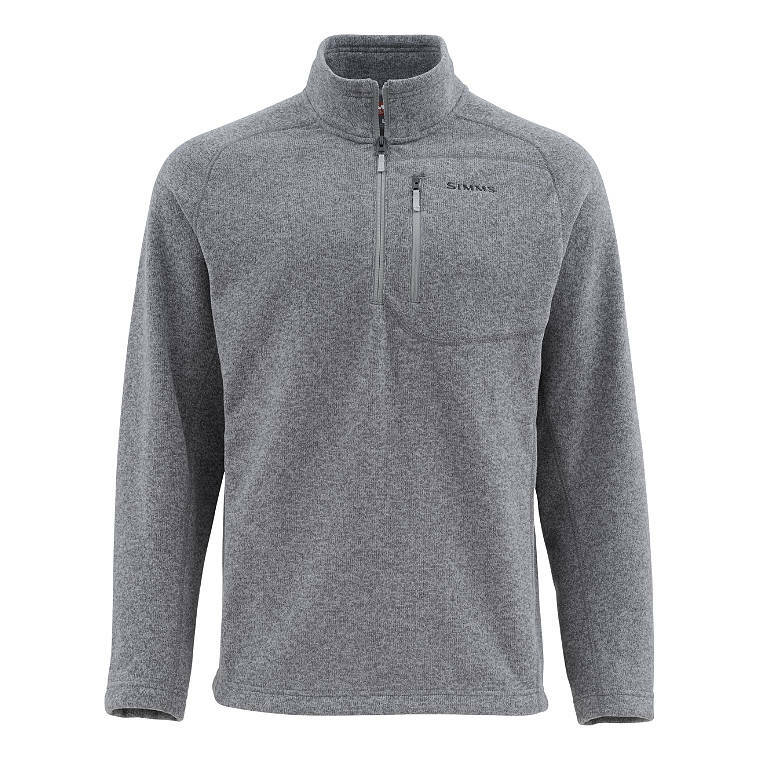 Nonpilling, two-way stretch sweater fleece adds stackable comfort to a loaded layering system. Or wear the QZ as a standalone, powered by two-way stretch fabric for enhanced mobility in the drift boat or out. Additional details include a convenient, temperature regulating quarter-length, center-front zip, plus a zippered chest pocket for stashing essential extras. 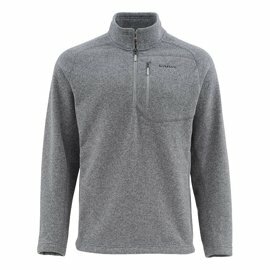 100% polyester sweater fleece APPROX. WEIGHT: 17.6 oz. All Simms outerwear features nylon YKK® zippers to minimize corrosion and provide high performing, durable wear. UPF stands for Ultraviolet Protection Factor and indicates how much of the sun's UV radiation is absorbed. A fabric with a rating of 50 will allow only 1/50th of the sun's UV rays to pass through. This means the fabric will reduce your skin's UV radiation exposure significantly. All of our UPF finishes last the life of the garment, an industry standard of 30 washings. *Listed dimensions are body measurements.